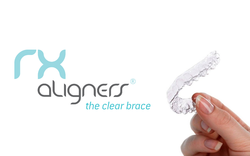 RXaligners are unlike metal braces – they are clear, removable, comfortable and convenient. As a leading clear brace manufacturer, they use the latest digital scanning technology and finish each RXaligner by hand – custom made for you. RXaligners clear braces fit with your lifestyle, and only you will know that you are wearing them.